Blue lace guppies pictures have been appearing on the internet. There have been reports that the strain have been put on sale on Aquabid. I am very sure that this strain will be a best seller and will be popular with guppy enthusiast the world over. Who can resist the intricate lacy patterns against a backdrop of blue? I myself have been intriqued by blue guppy strains and blue happens to be my favorite colour too. It was said tha the Blue Lace guppies that were offered on aquabid were F1 fries from a German Red Lace Snakeskin Crossed with the Japan Blue guppy. It was a cross that was made by Darryl Tsutsui of Hawaii and a guppy enthusiast did try to contact the breeder but to no avail. If the breeder of this guppy ever gets to read this post, maybe you can drop me an email so that I can let others know about the developments of this strain and how they can acquire the Blue Lace Guppies. 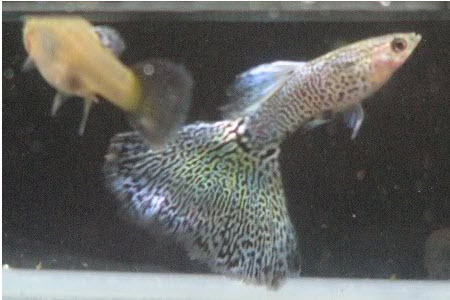 Those that have seen the guppy pics stated that the Blue Lace guppies had a partial very faint snake pattern in the body which was in its early stage of development. 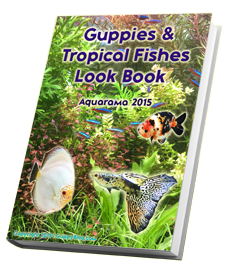 This is quite common for snakeskin or lace type guppies as the lace patterns and the snakeskin patterns too will take some time to develop and is closely related to how well the fishes have been kept in terms of water quality and food quality provided to them. Other breeders working on this strain have pointed out that the yellow colour is the main enemy in their breeding program as it is quite hard for them to eliminate that colour from the fishes that they were breeding. This is the description given by a fellow breeder. The fish were otherwise very nice,and a few had light blue caudals with yellow near the peduncle covering maybe 30 percent of the total caudal area.If I had tank space I might have tried to work with them,but it seems like the yellow that comes with the pastel blau in my fish is hard to eliminate.If they had the nice pastel blue without the yellow,I might have tried to work them.Others had yellow lace caudals with pink and pastel purplish overtones,mostly on upper and lower edges.I did not try breeding those males as the lace snake pattern was incomplete,some had 80+ percent lace,some had only 50% good lace pattern distributed fairly evenly on the caudal,but random areas were just missing the lace pattern. It will be interesting if you get similar results. 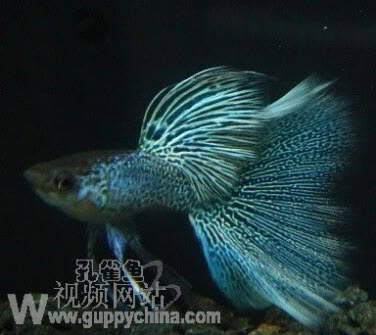 Another breeder from Singapore have also been trying to produce Blue Lace Guppies. A picture of his pictures can be seen below. Sorry about the pictures but these are thebest pictures that I have at the moment of these guppies. It was first seen at the recent Guppy Club Singapore (GCS) mini-competition held on 13th Dec. in Singapore. The hobbyist who submitted these fishes for the competition is only known as YS and he has entereda pair of blue lace snakeskins. Another breeder managed to got in touch with him and had actually managed to purchased a trio of these fishes from the breeder. You might be interested in the details of these fishes. The fishes were acquired by a Malaysia breeder who got the fishes from a Taiwanese guppy breeder. YS then bought the Blue Lace snakeskin gupies from the Malaysian breeder in March 2008. The trio that he got were the F2’s. From that batch, there were only 3 males that bear some resemblance to the lace patterns while the rest were more akin to cobra phenotypes. As you can see from the picture above, the guppies are awashed with yellow colour and that needs some fixing and some skillful breeding and genetics. I believe that the strain can be fixed and it is a matter of time that the strian becomes more easily acquired. But like the Red Lace Guppies, the better strains and specimens would not come cheap. These guppies can command a high price tag and I believe that it is fair for the breeder to charge a high price as the skill and time involved in getting a strain to a certain standard is huge. Not only that, it also takes a lot of committment from the breeder to continue working on a single strain to perfection. It’s pure discipline. If you are someone who is breeding Blue Lace guppies or other lace type guppies, don’t hesitate to email me about your stories. I would love to hear about them and I would love to publish your exciting stories on my blog. To your guppy breeding success! I am currently in the process of importing blue lace guppies to the United States from Indonesia. I should have them for sale by June 2015 on aquabid. 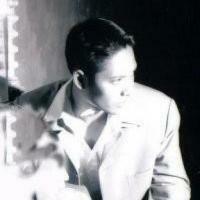 My e-mail address is websurfer89@hotmail.com. Nice guppy, Very rare, Hope I can have a pair of those strain. I hope you can get them too. They are quite rare indeed and I have never seen them face to face too.